Mohamed Konteh has broken into the first team ranks. 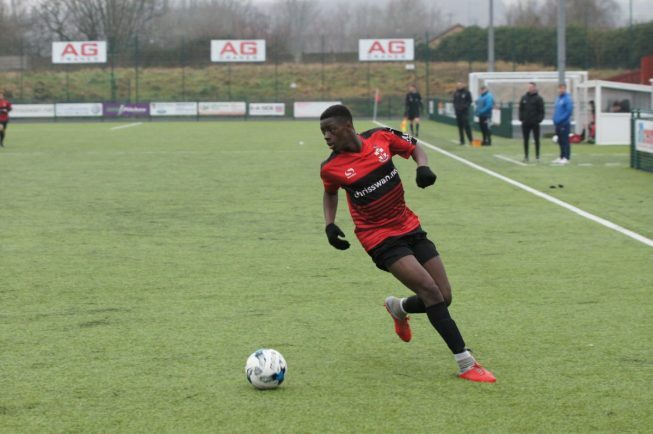 REDDITCH United FC Academy hosted a successful trial event which attracted more than 40 trialists and potential academy players to take part in an open training session at The Trico Stadium. Many of the trialists will be joining the ranks at RUFC Academy as part of the full-time education and football programme on offer, in which academy students study sport-related qualifications at college and university level, as well as train up to three times per week and represent Redditch United at U18, U19, Reserves and even first team level. As well as this, academy students have access to FA coaching badges and officiating courses, leaving students with various pathways to begin their career in sport. For more details, visit www.rufcacademy.co.uk or follow @rufc_academy on Twitter and Instagram for more information. 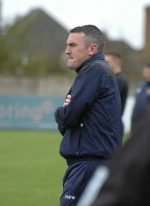 On the pitch, Redditch United Reserves welcome local rivals Worcester City Reserves to the Trico on Saturday, looking to replicate their fine display from the reverse fixture which resulted in the Reds winning 2-1. In other news at the academy, Mohamed Konteh and Randane Larmond have both made their debuts for Redditch United first team, with Konteh making his first team bow against Stourbridge and Larmond coming off the bench in Saturday’s goalless draw against Tamworth.